Say goodbye to the Pyrenees and head in the direction of Barcelona. 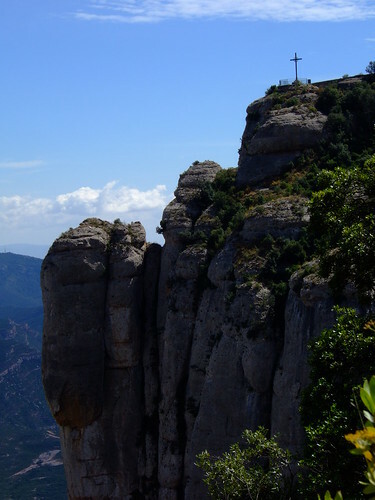 Before too long Montserrat is looming and I take the train up to the monastery. Even though i’ve promised to give my tired legs a rest the urge to explore is just too strong and spend all afternoon just wandering about. It’s spectacular and something totally different from the Pyrenees, I’m jealous of all the people climbing though.